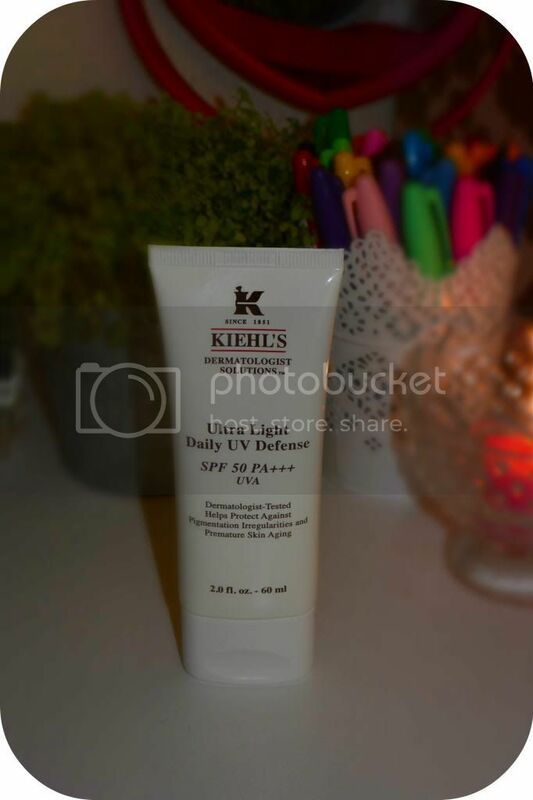 Prior to purchasing the Kiehls Ultra Light Daily UV Defense, I had gone into Space NK and eyed it up around 8 - 10 times, each time I went in with the intention of buying it but ended up walking out with something else. I don't know what it was, it was just the fact that it was £31 and my skin can be very funny with SPF, it's quite sensitive and for a while was allergic to most sun screens, thankfully it has calmed down a little but can still react so the thought of spending £31 and having a skin reaction (it's not pretty, think red, blotchy, sore skin) just didn't quite appeal but one sunny, slightly hungover day, I decided to bite the bullet and purchase this and I'm so pleased I did, I have had zero reaction to this and while I can't quantify the results of this obviously, it's nice to know that I have factor 50 on every day, I'm a big advocate of SPF and protecting you skin from the sun so I slather it on if any part of me is exposed to the elements even during the winter. The damage that can happen to unprotected skin, I just don't think it's worth the risk personally. So, back to this product, this spreads very easily so I find that a really small amount (in between a 5p and 10p size) can cover your whole face and neck which also means that I think this tube will last quite a while, thankfully. It contains both Mexoryl SX and Mexoryl Xl to help protect against both UVA & UVB rays which is an added bonus. It's down as a moisturiser but I find this isn't rich enough for my dry skin so I tend to pair it with my regular moisturiser but if you have an oilier skin type, this could work as your regular moisturiser. All in all, I really love this and I'm glad I decided to purchase in the end. There's nothing fancy, packaging is standard black and white Kiehls and there's no scent but it's just one of those products that I want to work into my routine so I know my face is always prtoected if you know what I mean, it's a little gem especially during the summer months! I'm sure there are cheaper products that do a similar job but I like the fact this works well with my skin and offers that bit of extra moisture too! You can pick this up here for £31. Have you used this? What do you think of this?